Visit our Leicester drum shop for some of the best UK prices on Mapex drum kits, hardware and accessories. Mapex Horizon ‘Short Stack’ kit in silver sparkle. 10″ & 12″ toms, 16″ floor tom, 22″ bass drum and 5.5″ snare – with hardware. An ace looking retro finish on this kit – topped off with white logo’d bass drum head. No cymbals with this kit. DHDW PRICE = £369! SOLD! 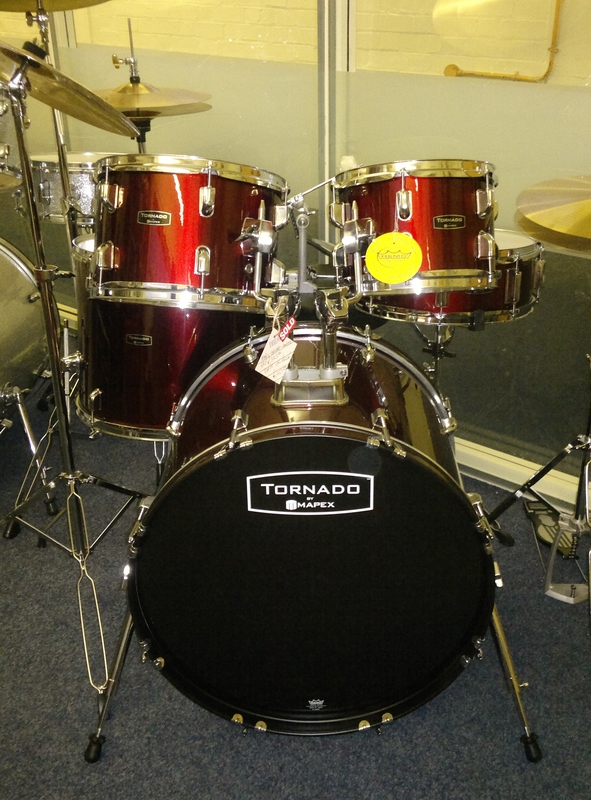 Mapex Tornado – complete with hardware and cymbals. Mapex Tornado Kit: drums, hardware, cymbals and stool – seen here in metallic burgundy (LA/American Fusion sizes now available too, with a 16″ floor tom. Both specification kits also available in Black and Royal Blue). Our highly recommended stock starter kit: DHDW PRICE = £329! Visit our Leicester drum shop for some of the best UK prices on Mapex drums.